Go to enough NBA games and it’s bound to happen: You take your seat only to find that your view is blocked worse than Deandre Jordan attacking the glass. 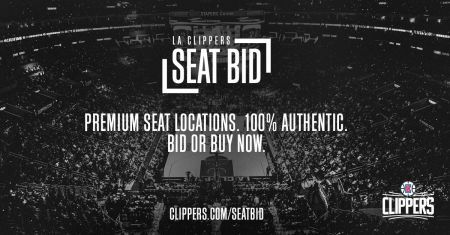 There was a time when you would have had to take the L, but thanks to the LA Clippers Seat Bid powered by Flash Seats, you can bid on upgraded seats with the speed and ease of a Chris Paul crossover. Here’s how it works: Simply download the Flash Seats app or visit the Clippers Flash Seats page, register your account and start browsing verified tickets. That’s it. No more forgetting paper tickets at home or falling prey to Craigslist phonies. In addition to the convenience, the LA Clippers Seat Bid allows you see what people are asking and use your negotiation skills to get the best deals. And if you’re looking to sell, you can put your tickets up for sale on Flash Seats as well. Whether you’re trying to get better seats to impress your date or want to drive a hard bargain on those courtside seats, the LA Clippers Seat Bid lets you take control of the ticketing experience. So rather than settle for whatever leftover tickets you can find on third-party sites, get the seats you want with Flash Seats’ LA Clippers Seat Bid. 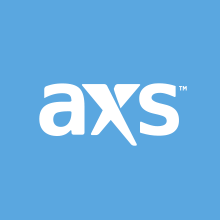 Tune into “Conan” tomorrow night, Dec. 20, to catch Clippers owner Steve Ballmer on the show and get your tickets to upcoming Clippers home games right here on AXS.com.